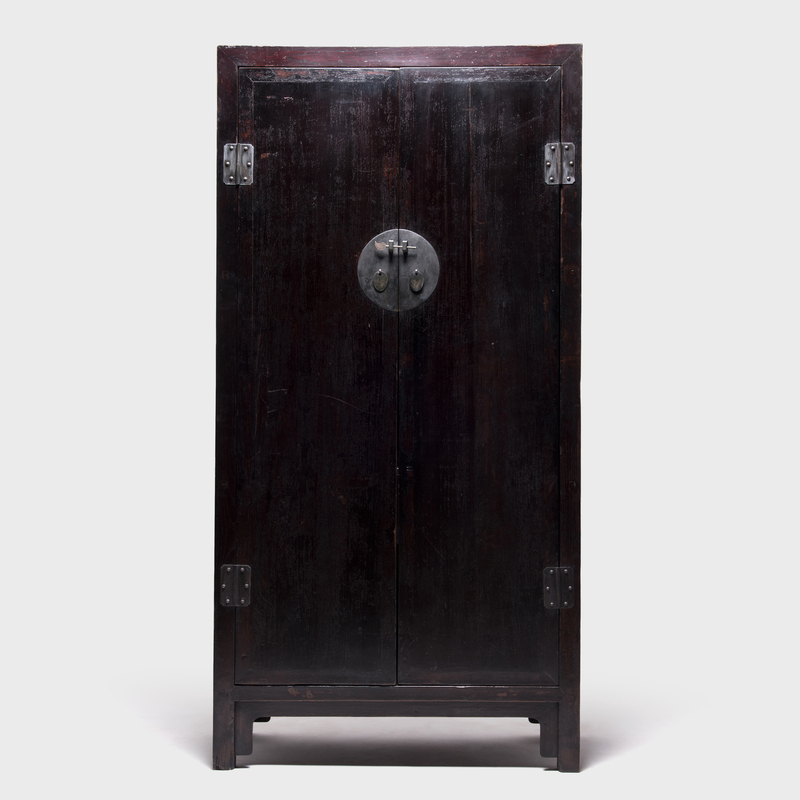 W: 42.75" D: 21.25" H: 84.25"
Unusual riveted hinge plates and a full-moon sliding door latch made of solid brass lend texture and metallic contrast to this simply styled, tall elm cabinet. 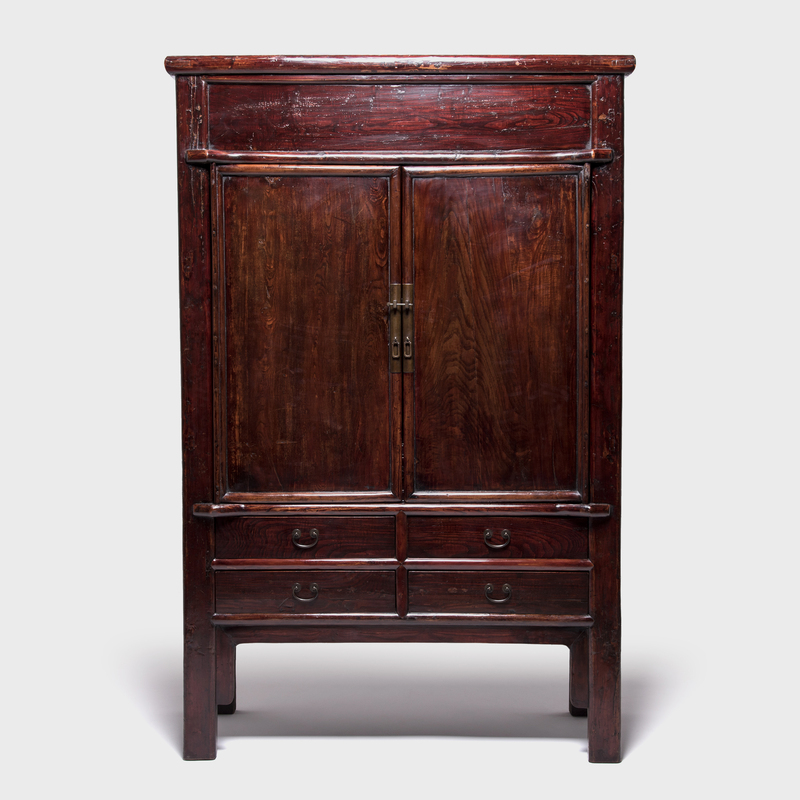 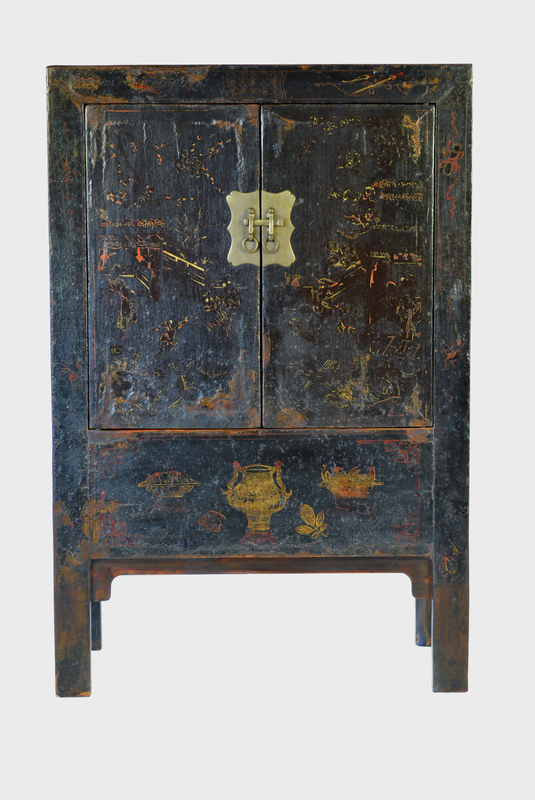 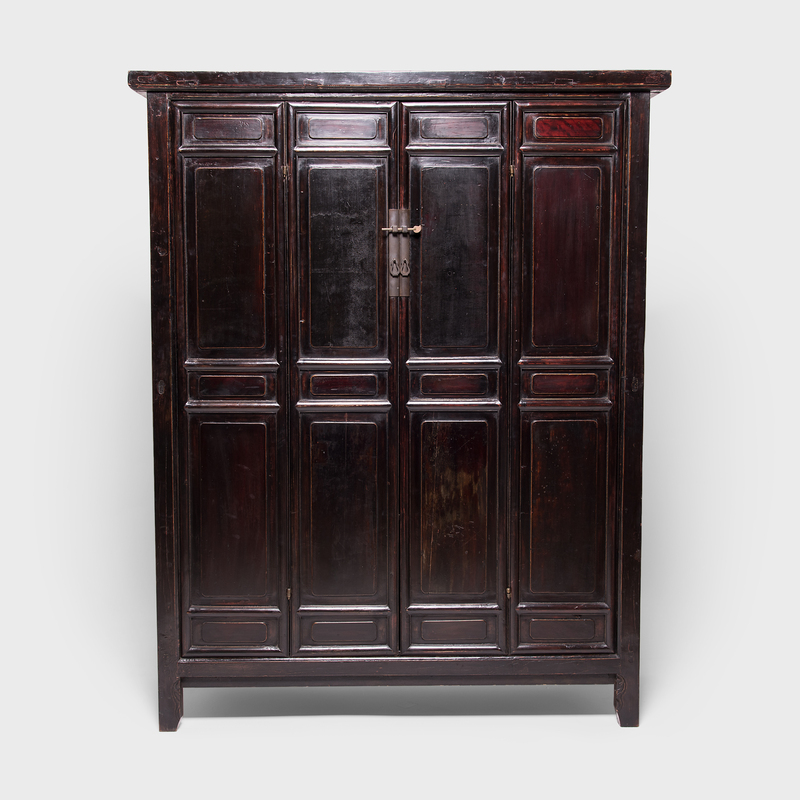 In its exacting proportions, and masterful mortise-and-tenon construction, this 19th-century cabinet from Shanxi Province epitomizes the elemental elegance of Chinese furniture. 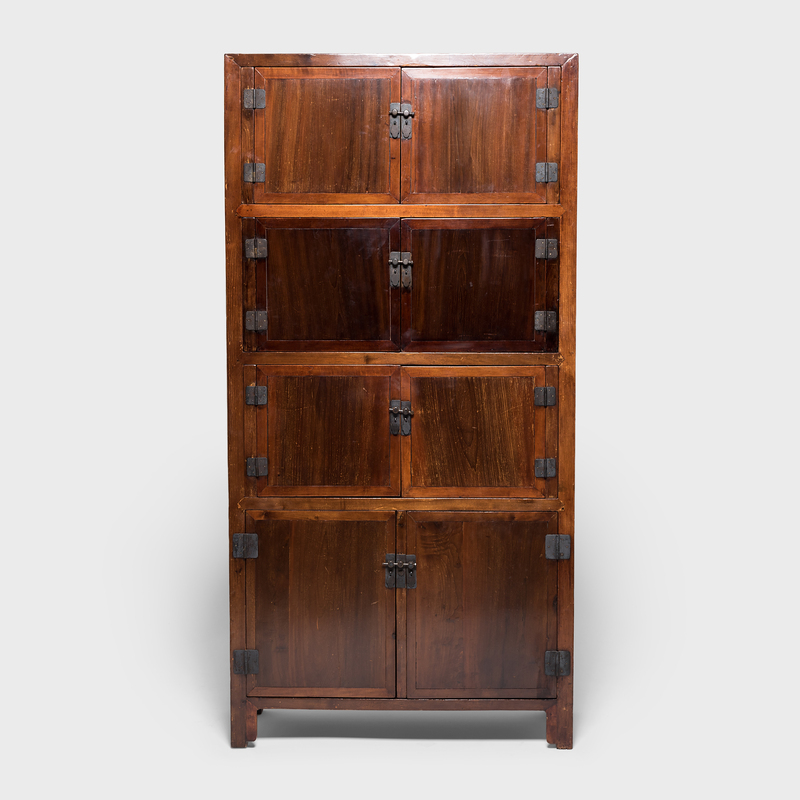 Beyond its' refined presence, the cabinet provides household storage outfitted with two shelves and a pair of drawers on the interior.